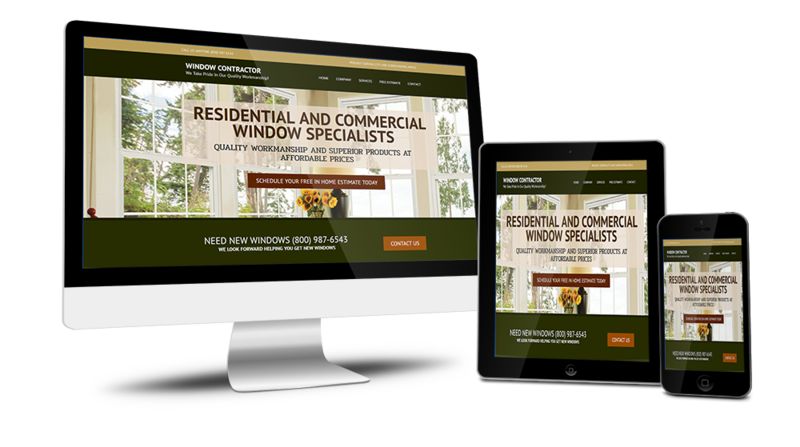 Updating Your Website Is A Breeze Too! How would you rate your current website on a scale from 1 to 10? Does it represent YOU and YOUR company in the best way possible? Does your website communicate with SMS text messaging? Does it convey “trust and professionalism”? Is it a sales tool that increases your profit? Truth be told, your website can and should be your best sales person. And with ContractorOS, you’ll have an award winning website all setup and connected to your software to help you converts leads to sales and ultimately make YOU more money. 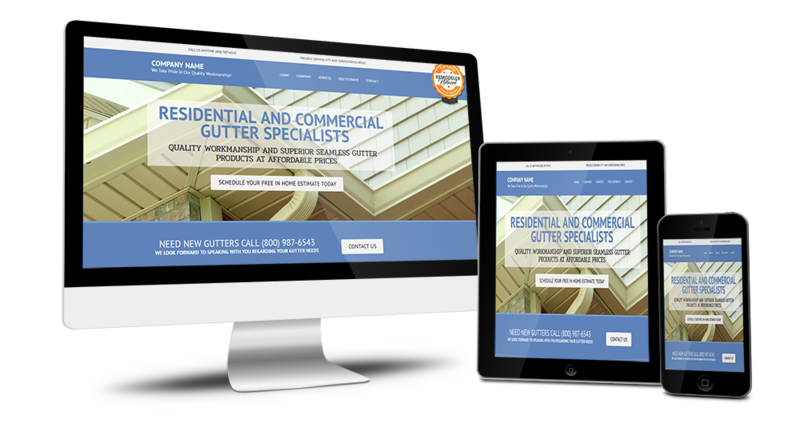 Jam-Packed With Features To Make Your Contracting Business More Professional, More Efficient, and More Profitable. A Professional Design by award winning graphic artists builds trust and tells potential customers you’re the right company for the job and increases their trust in you. 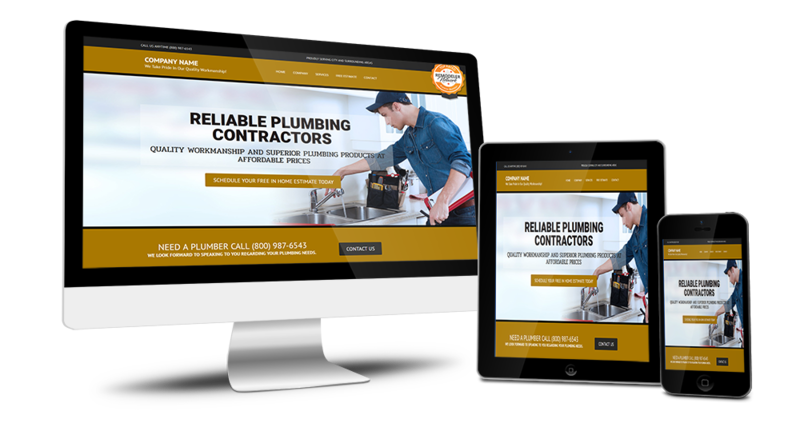 Mobile Responsive means your website visitors can browse and interact with your company website from their desktop, laptop, ipad and mobile phone. Built-in Forms like a FREE ESTIMATE FORM turns your website into a multi-tasking sales tool. 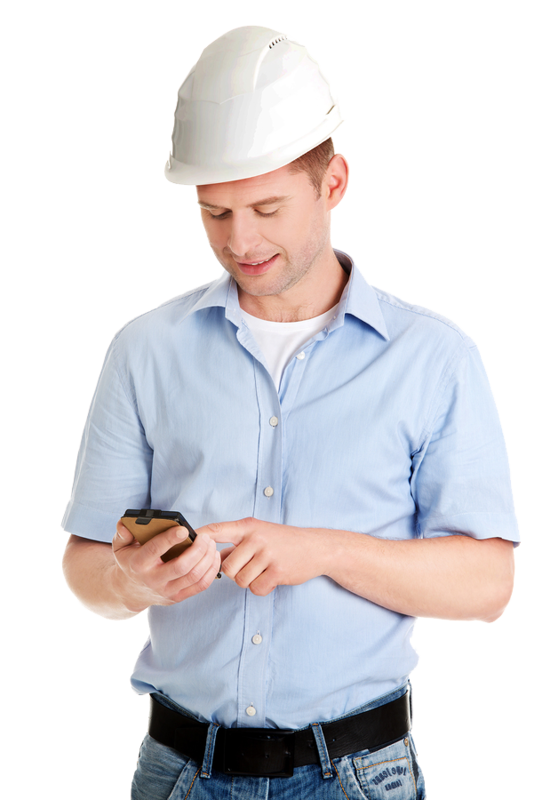 Best of all your forms are linked directly into your mobile software dashboard, and send SMS Text messaging for all of your schedule appointments. Updating your site is simple with our custom website editor. We created this front end genius just for you. You’ll be able to add content and edit pages on your website with ease. Built on the WordPress Platform (now powers 25% of the internet), your website will be SEO friendly with the All in One SEO Pack plugin, to help your website rank higher and get you more local customers. Hosted in the Cloud on our secure, reliable Amazon EC2 servers means 99.9% up-time and Wordfence premium plugin that provides the best website security against threats. We take care of everything for you. ♦ Already Have a Website? That's great news actually. 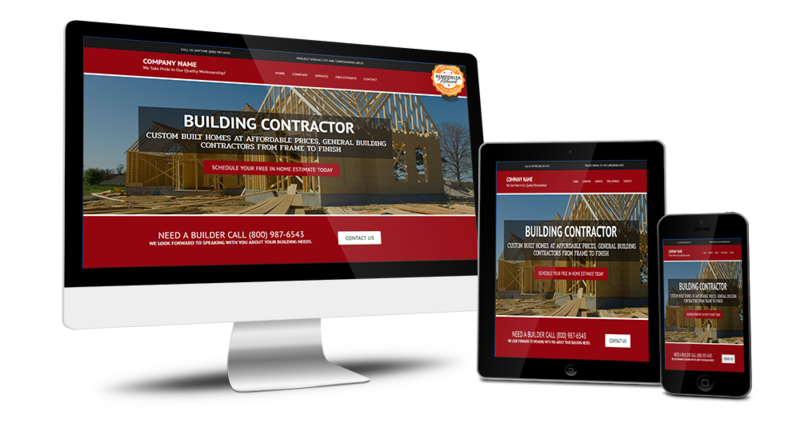 Your ContractorOS website doesn't have to replace your current website. It should work in conjunction with your existing website. We setup your new website on a brand new domain (included) that’s keyword specific to your local area ... and Google friendly to dominate local search results. 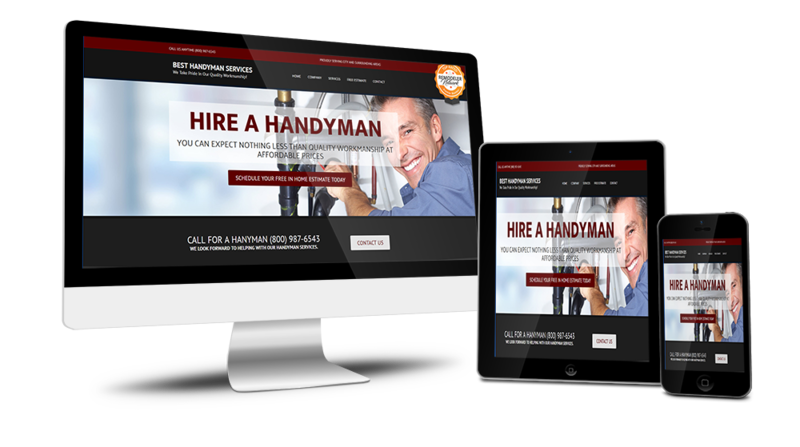 You just promote your new business website URL, and ContractorOS takes care of the technical stuff...(and we even help with advertising and promotion). And don't forget - Your website is connected to your software which transforms it into one helluva sales person! Getting your website setup and online is a snap. We do everything for you. From design to installation, we handle it all. Our team of Web Design Specialists will immediately get to work creating you a website you’ll not only be proud of ... But more importantly will be integrated into your ContractorEstimatePro Software. This makes managing your business a dream come true. PLUS we include our Point and Click web editor with every site we setup so managing your website is simple. See How Our Local Business Builder SEO Technology Helps You Dominate Your Local Cities and Towns. It's All Part Of The ContractorOS Platform.